Life is valuable and is too short to hold grudges and enmity against anyone. The meaning of life is to adore and embrace your lovely relations with feelings and gifts. 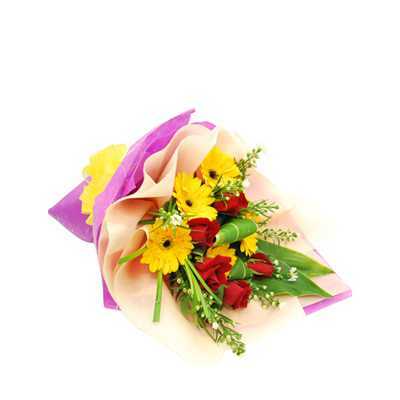 This amazing and beautiful bouquet of 5 stalks of Red Roses and 5 stalks of Gerberas makes for a wonderful gift to enrich your relationship with love and care.